If you have any questions for Manchester Friends of the Earth, please email us at office[at]manchesterfoe.org.uk. As we are all volunteers, it may take us a few days to get back to you so please bear with us. If your question is urgent, you may want to try phoning us. If your enquiry relates to environmental issues generally, or campaigns outside Greater Manchester, it may be best in the first instance to contact the national Friends of the Earth office. You are also welcome to contact one of the co-ordinators or our media officer, but please be aware that we are all volunteers and may not be able to respond to you right away. 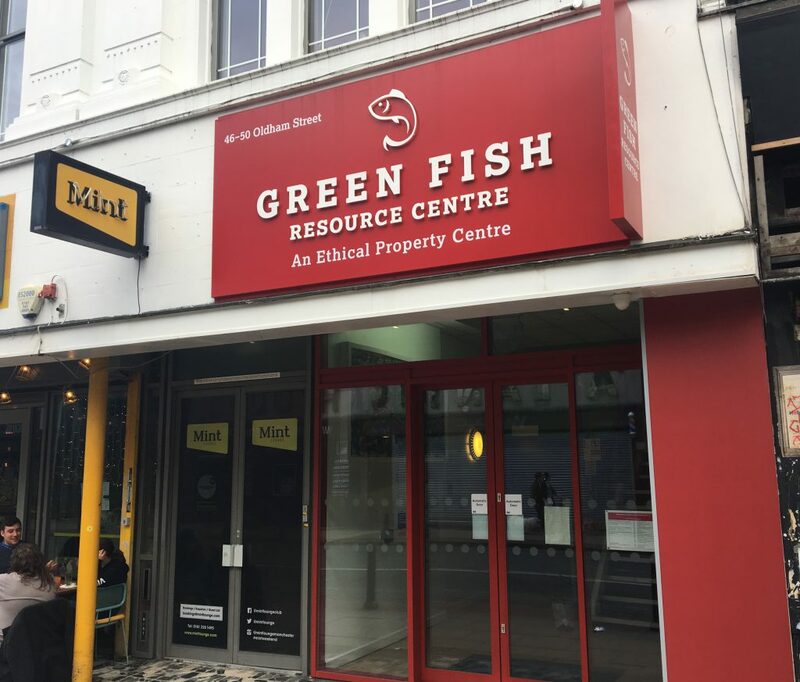 The Green Fish Resource Centre is on the right-hand side just after Hilton Street if you’re heading up Oldham Street from Piccadilly Gardens (map). Approximately a five minute walk. Please note that our office is not staffed all the time, so please call or email ahead if you’d like to visit. There is cycle parking inside the building that you are welcome to use. The building has a lift and has flat access.